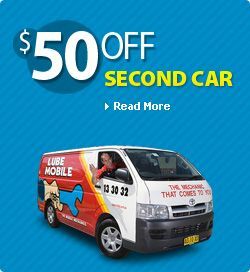 Lubemobile mechanics are available wherever you are like in Redbank Plains. We attend to your vehicle wherever it is which includes anywhere from Brassall, Bundamba and Redbank Plains, and anywhere in between. We are Australia’s #1 mobile mechanic fleet attending to you when you need us. You can get your car serviced on holiday. Have the tyres replaced or rotated at work. 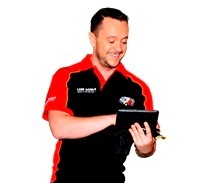 Our mechanics have serviced over 760 vehicles in your area over the past 3 months alone. Have a Log book servicing completed entirely on site at your home address. Or our mechanic specialists can travel fully equipped to wherever you specify to carry out work including cam angle sensor adjustment and 6 year service. Really nothing could be improved I was kept in the loop on all decisions regarding the work and the job (Brakes) has made my car totally safe and returned it to the manufacturers exact specific specifications which is tricky with th Peugeots in Australia. The job was excellent and it is the second time I have used Lube Mobile for Brakes I'd imagine I will call you when my Clutch Plate wears out too! I would actually like a q quote for my boot lid struts which are basically cactus and need re-gassing or replacement! As usual Trent is always very helpful and easy to work with. Your mechanic will arrive at your preferred location with everything they need to service your vehicle. When we say ‘mobile mechanic’ we really mean it. No matter the make and model of your car, we guarantee that the professional who arrives at your job will have what they need to complete a full service, on the spot. Most recently, our mechanics have commonly serviced Holden, Toyota and Ford. All vehicle types are serviced on location so there’s no need to have anything taken into a workshop. Our most recent services in your area have included Renault, Citroen and Ssangyong. Fully equipped mechanics mean that whatever is required for your vehicle is available quickly. We use only the highest quality parts like fuel injector, ball joint replacement and starter fuse. We service and repair all vehicles including Volkswagen and Peugeot. Your mechanic arrives within your specified time window and carries out everything on the spot. We do not make unauthorised repairs and you’re kept in the loop with what your vehicle needs and why. In recent months we have received over 19 positive reviews from our happy in the Ipswich. Book a mobile service or repair today for wherever is the most convenient location and time for you, and have one of our 37 in Ipswich attend to your vechicle today.